Ages ago a friend of mine tried to impress a girl by playing Discharge the whole evening, showing the Texas Chainsaw Massacre on video and serving buffalo-juice (that red wine and vodka) as refreshments. Yeah – He was pretty stupid and I don’t remember the outcome. However – I can guarantee that if he had played Fear of God the girl would have left within two minutes. This band origin where nightmares are created. 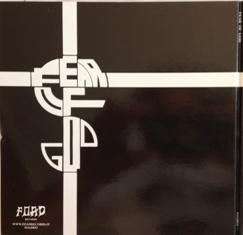 Fear of God was from Switzerland and had Dave Phillips on bass, Reto Tschösi Kühne on guitar, Osi Oswald on drums and Erich Keller on vocals. 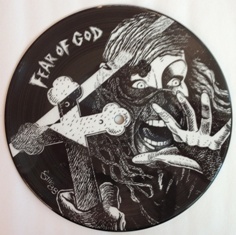 Their first release was the self-named EP Fear of God that came out in 1988 (on clear vinyl). 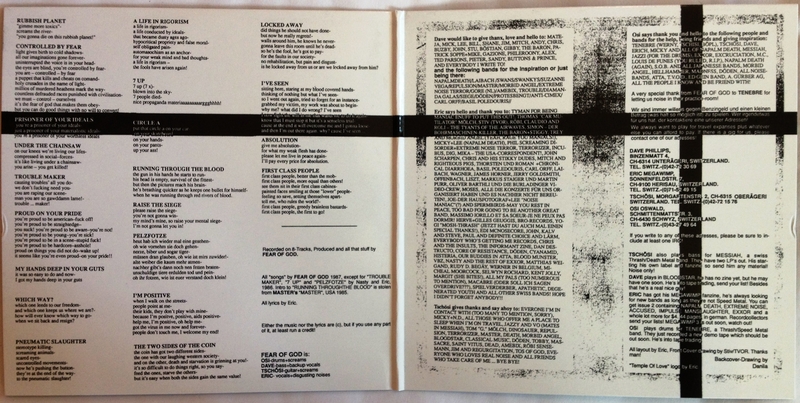 It has 21 songs on a 45 rpm 7 inch vinyl. Not bad. A few other EP’s followed. 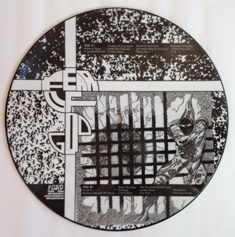 In 2012 the 1988 EP was re-issued as a picture disc. 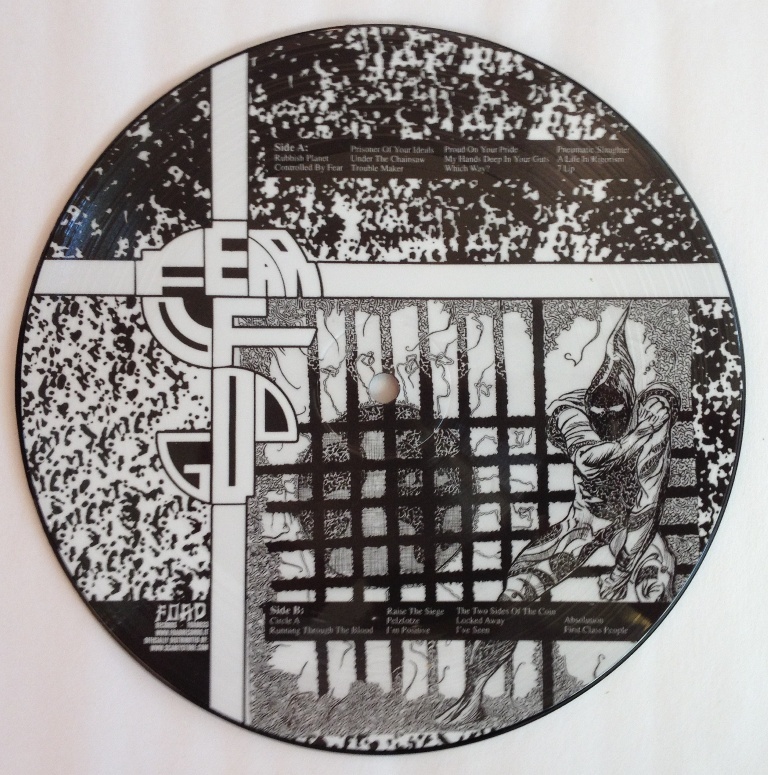 I’m not a great fan of the picture disc format but this release is excellent presented (see pictures below). 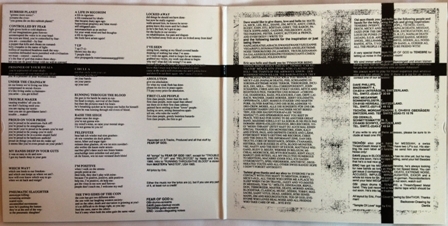 Regarding re-issues – the is a strange release from Anomie records (Germany 2008?) that seems impossible to find – this is the stuff collector-scum loves. 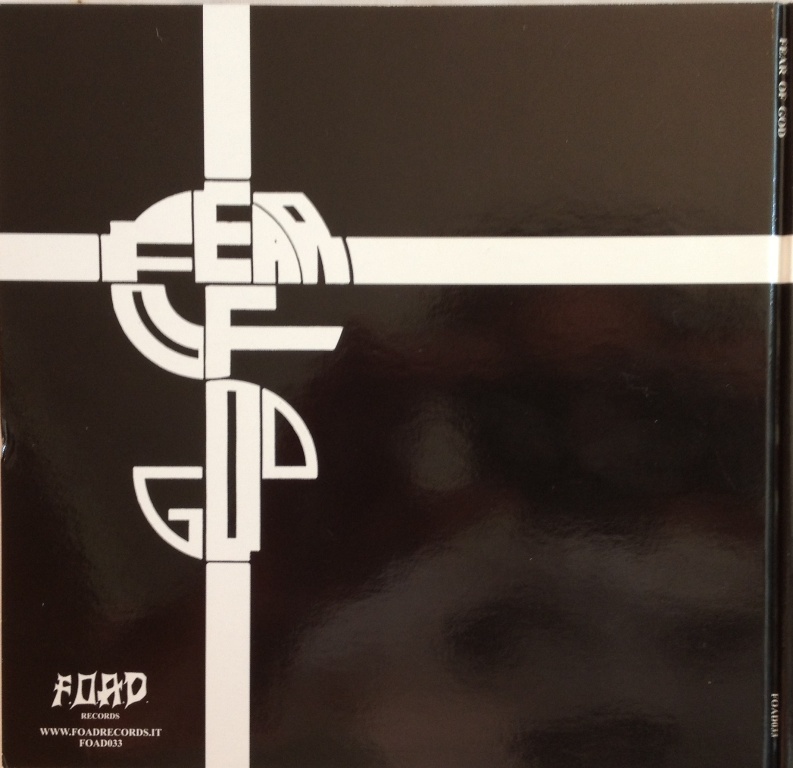 I’m not making a deep review of this record – but it’s brutal stuff, maybe nothing I will put on my ipod but for sure play at occasions. What I like with Fear of God is their consequent attitude. Some would call this grindcore but it’s more noisecore to me. There is an interesting interview with Erich Keller that I would recommend you to read to understand more of the band. For more info on Fear of God, check out their web-page. Here is a short ♬ audioclip from the record.